This article is about three species of whale in the genus Eubalaena. 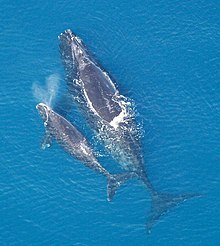 For a close relative that was recently excluded from the right whales, see bowhead whale (Balaena). For the similarly named dolphin, see Right whale dolphin. 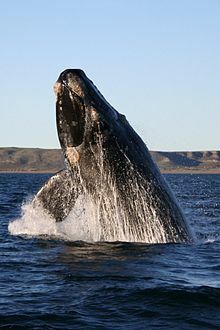 For other uses, see Right whale (disambiguation). 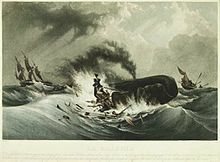 Wikimedia Commons has media related to Eubalaena.